‘Pause and rewind’: that’s the message from the county’s leading civil rights charity as it hosts a key conference into the use and impact of Police powers. The Ipswich & Suffolk Council for Racial Equality (ISCRE) set up the Stop and Search Reference Group (SSRG) just over ten years ago in response to the hugely disproportionate use of Stop and Search powers by the Police on Black and Ethnic Minority men. 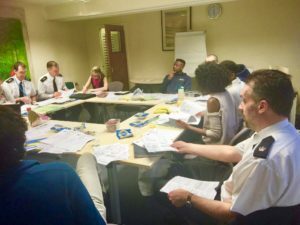 The SSRG meets on a regular basis and is a forum for community activists and members of the public to meet with Police representatives to analyse carefully selected Stop and Search incident made in order to improve mutual understanding and more targeted use of these powers. The Pause, Rewind conference on 1 March brings together speakers from a range of local and national campaign groups, legal experts and the Police themselves to review what has gone well and where further improvements are needed. Members of the public from across Suffolk are being invited to attend to make their voices heard. The conference is jointly funded by ISCRE and Suffolk Law Centre’s Tackling Discrimination in the East project. 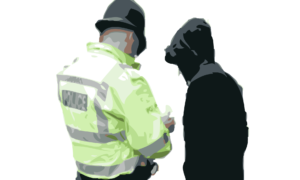 The number of Stop and Searches being made in Suffolk has fallen dramatically since 2014, due to both the influence and assistance of the SSRG and implementation of the Home Office Best Use of Stop and Search initiative. Yet BAME men remain disproportionally more likely to be stopped and searched than their white peers between 3.5 and 5 times as likely over the last 12 months. Recent national data shows that whilst BAME people are less likely to use drugs than their white counterparts (5.8% versus 10.5%), they are six times more likely to be stopped and searched for drugs. Phanuel Mutumburi, ISCRE’s business & operations director, said: “The SSRG has played a major role in building trust between the Police and our communities. A dragnet approach to using Stop and Search powers is both costly and damaging to community relations. Sometimes, our conversations have not been easy, but in the longer-term I believe the SSRG has positively impacted on community relations in the county. 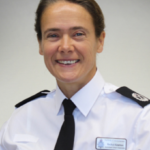 Deputy Chief Constable Rachel Kearton said: “This conference will provide a valuable opportunity for the police to show how we have listened to community feedback and adapted our approach and training to stop & search in recent years. “Going forward, we are keen to keep working with all sections of the community in relation to stop and search, to help make our communities safer places to live. The Pause, Rewind conference on 1 March starts at 1pm and finishes at 5pm and is being hosted at the Castle Hill Community Centre, Highfield road, Ipswich, IP1 6DG. Chaired by ISCRE’s chair of trustees, Chris Cumberbatch, the confirmed speakers are Katrina Ffrench, Stopwatch UK, Michael Shiner, London School of Economics, Rachel Kearton, Suffolk Police, Franstine Jones, BInspryed, Audrey Ludwig, Suffolk Law Centre and Phanuel Mutumburi, ISCRE.